Manufacturer & Supplier of IQF Fruits. 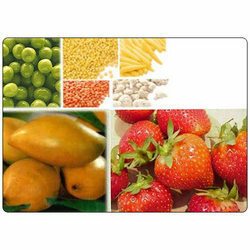 Our product range also comprises of Frozen Fruits, Frozen Corns and Exotic Fruits. With our proficiency in this domain, we manufacture and supply nutrition enriched IQF Fruits for our clients. Renowned for their rich tang and high nutritional value, provided fruits are generally used to prepare special dishes. The offered fruits are extensively demanded for their various quality features like unique taste. Besides, our provided fruits are available in the market at pocket friendly price.